This punch bowl, according to our records, belonged to the W. P. Bristol family, whose home we have on the Charlton Park property. The bowl was purchased and donated to the Park by Anna Johnson in 1975, who bought it from Hastings Country Club. 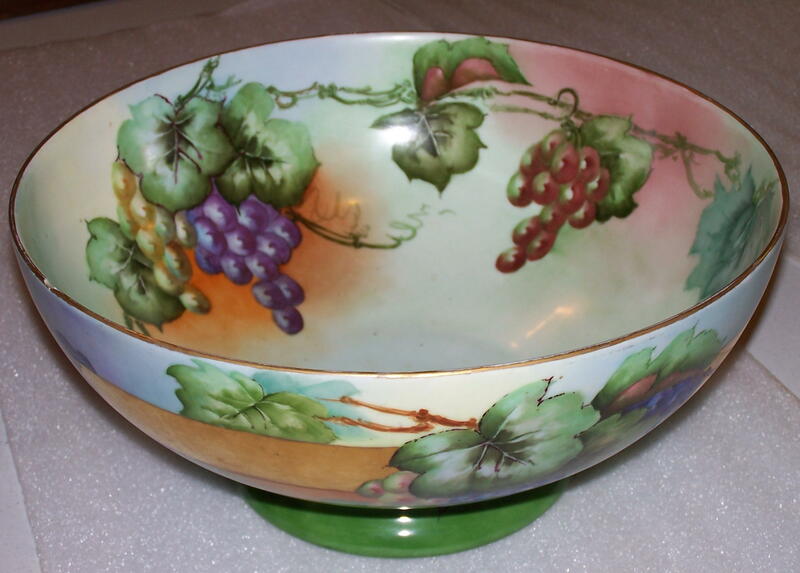 The bowl is hand painted and gilded, signed by G. L. Slawson in 1910. The bowl would have been owned by a descendant of W.P. Bristol, considering the bowl is dated 1910, and he passed away in 1898. The manufacturer’s mark states it was made by H & Co. of Bavaria over an ornate crown. This could refer to Heinrich & Co., but CP’s bowl does not include “Selb”, which was standard on all of their pieces. The H & Co. Bavaria stamp matches no backstamp that we have located. The way the punch bowl is painted looks more like a Limoges, France style piece. 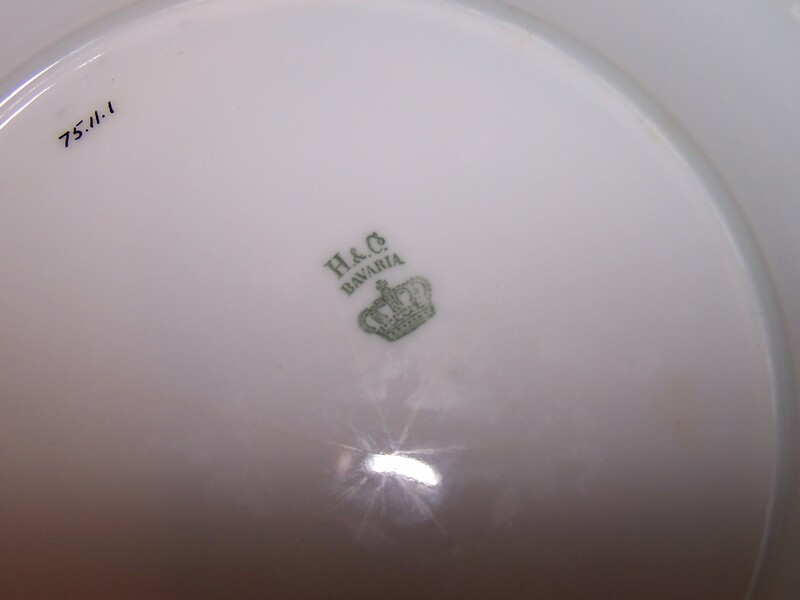 Haviland & Co. most resembles the mark on CP’s punch bowl, except for “Bavaria”. A grandson of David Haviland, Johann, had a factory in Bavaria (1907-1924). It may be from Johann’s factory. Haviland purists seem to ignore Johann’s patterns. Compounding the issue, porcelain factories also created plain pieces that the purchaser could paint themselves. There are several Slawsons that lived in Barry County, MI during that time, who could have decorated the punch bowl. This punch bowl is gorgeous and large, with a diameter over 1 foot, and is an excellent piece, no matter what its history. 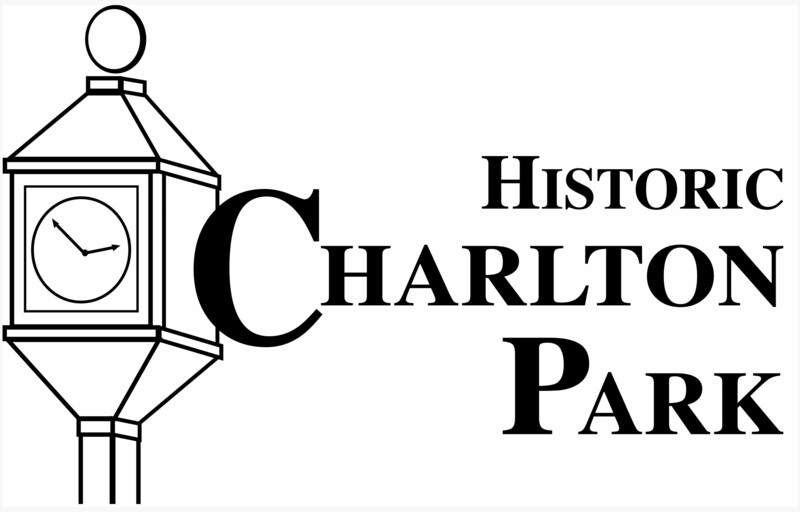 Welcome to Historic Charlton Park’s new blog! We are very excited to be joining the blogging world and to help kick off our new website. After more than a year of meetings, corrections and hard work – our new website it up! You can visit it here: www.charltonpark.org. We hope that this new site increases usership and functionality that our previous site was lacking. It also allows for online payments and donations and to make reservations for our various rental facilities and education programs. Please take a second to look around and let us know what you think. Your feedback is very important! Also, the 4th Annual Charlton Park Day is fast approaching! This FREE event will be held on Saturday, May 1st from 11 am – 4 pm at Historic Charlton Park. This event honors not only our founder, but also the people of Barry County who support the Park and make it the jewel that it is. Come out for FREE food, fun and a family friendly atmosphere. To learn more, check out the event flyer (will take a second to load), 2010 events calendar or visit our website. The blog will host a variety of articles about different activities and collections objects at the Park. Have an idea? Let us know!